BBC Two - Daily Politics, 11/05/2017, What do voters make of Theresa May? Voters are asked if Theresa May makes them more likely to vote for her party, or if her leadership makes no difference. 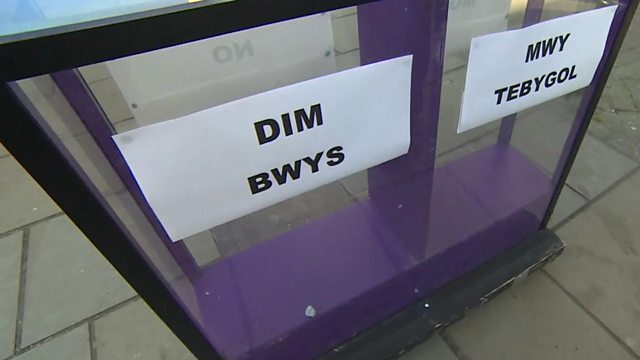 Adam Fleming took the Daily Politics mood box, an unscientific test with a box and balls, to get the views of viewers of Holyhead on Anglesey, and looked for any hint of Theresa-mania?